HR Support for SMEs in Ireland – "We take care of your HR so you can take care of business"
Our employees working within your organisation – as a registered employment agency, we can place staff into your business, giving you access to the staff you require as and when business needs dictate. We can also assist with recruitment of staff to ensure you get the right people placed into your business. Have your current HR practices audited today and we will help you to take practical steps to protect your business. Simply call us if you have any HR Issues that you need help with. All of our customers have access all year round. We provide all customers with the AskHR Solutions HR System for online Leave, Appraisals, HR Files and Documents and much more… Contact us today to try it out completely free. Delivering HR Support to Small and Medium Companies from €120 per month. 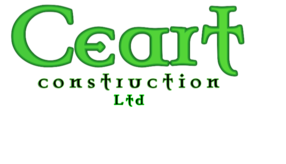 Looking after HR in Irish companies since 2005. Call us on 01-2166301 for a quote today. The AskHR.ie HR Helpline is available to all employers for simple queries or large HR issues. How Compliant are Your HR Practices? Step 1: Let us Audit your HR Practices today and we will help you to take practical steps to protect your business. Robin looks after client on-boarding at AskHR.ie. He would be happy to discuss any of your HR needs and can be reached on 086 2554287. In his position as HR Client Executive, Rob works very closely with our clients on a day to day basis. He holds a BA in Marketing and has also undertaken specialist studies in Human Resource Management at NCIrl. in addition to Employment Law at UCD. Rob is also iPass accredited. Linkedin account of	Liam Doherty PhD. 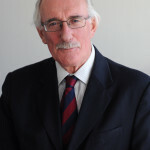 As a Director of AskHR Solutions, Liam provides high level Industrial Relations advice and support, as well as independent problem solving and dispute resolution services. He was previously a Director of IR and HR with IBEC and completed his PhD through QUB. 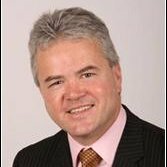 He is a member of the Board of the Industrial Relations Research Trust and has also published widely on a range of HR and IR themes. What Clients think of our Employment Agency Services? We engaged the services of AskHR in 2012 to provide us with HR Consulting and Offsite Staffing Services. The client account team are a pleasure to deal with, engaging and proactive in all aspects of their work. They provide an efficient, cost effective, professional service for the specific HR and Staffing needs that we have. 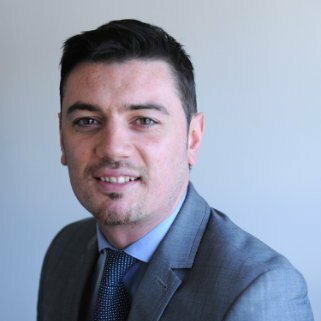 Our account manager, Robert O’Neill, is extremely helpful and is very familiar with the profile of candidate we have in our business. Our agency staff have always been looked after well and are fully supported year in and out. The AskHR payroll services are very efficient, they offer great support to our Managers and Team Leaders and are overall a joy to work with. We would have no hesitation in recommending AskHR Ltd to any business looking to partner up for agency services. We have used AskHR Ltd to recruit and to supply agency staff in our business over the past few years. Their professionalism, attention to detail and most importantly their deep understanding of our needs makes the whole process effective and seamless for us and the employees. The staff have always been supported fully throughout their employment. I would highly recommend AskHR Ltd as an employment agency partner. Simply enter your query below and send us an email.